The Advanced Equipment fluidized IQF (Individual Quick Frozen) tunnel freezer is a mesh belt freezer, or belt tunnel freezer. Product is moved by a series of stainless steel mesh belts through a tunnel freezer. We have several different versions for the vegetable, fruits, seafood, poultry and meat processing industries. If you are looking for dependability, low cost of ownership and low operating costs, you definitely should consider an Advanced fluidized IQF tunnel freezer. 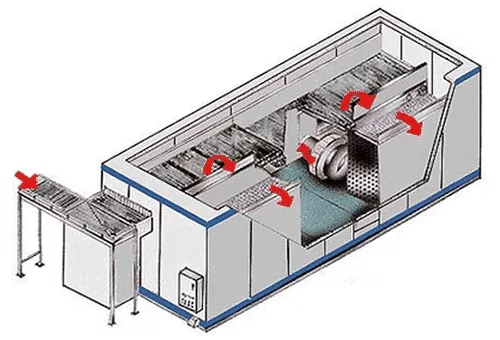 Tunnel freezers are a class of processing freezer systems where product usually travels horizontally through a long enclosed space (freezing tunnel) and cold air is circulated upward through the product. The product is conveyed through the tunnel by a series of stainless steel mesh belts. We can supply you with various tunnel designs that are ideally suited to your product. Our fluidized IQF tunnel freezers will last for decades with regular maintenance and repairs. IQF Quality by utilizing Fluidization Method. Pre-assembled at our factory and fully tested. Packaged as a single unit, arrives assembled and ready to be connected to services. VEGETABLE INDUSTRY - peas, green beans, cut corn, mushrooms, vegetables, French fries, cob corn, diced carrots, diced onion, cut cauliflower, cut broccoli, cut asparagus, Brussel sprouts. FRUITS INDUSTRY - blueberries, cranberries, strawberries, cherries, gooseberries, raspberries, diced pineapples, sliced apple. SEAFOOD INDUSTRY - cooked shrimp, skin on shrimp, scallops. Low Investment Cost: One of a premiere yet very economical freezers in this class of tunnel. Every component of our freezer evaporator, conveyor belting, and high efficiency enclosure, is manufactured in our highly experienced engineering and manufacturing facility. Our manufacturing process has been streamlined and improved over three decades. 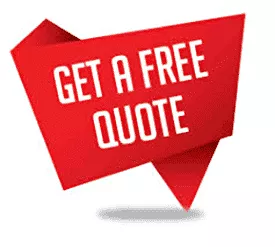 Superior quality at a phenomenal price is why we have over 400 installations in over 20 countries. Low Operation Costs: Low operation costs compared to C02, NITROGEN, and other freezers. This is achieved with a high efficiency insulated enclosure, combined with our unique patented mechanical vibration and balanced airflow system. Our tunnel freezers ensure excellent product freezing quality and reduced shrinkage loss by continuously agitating the product during the crusting stage and the fluidization freezing stage. The positive and precise conveying of the product throughout its freezing cycle assures even freezing times. If you are looking for the best return on your freezer investment, you should give us a call. You can also schedule a free consultation on our fluidized IQF tunnel freezer.